Applying limestone to agricultural fields and the lawns and gardens of your home improves the health of the soil. 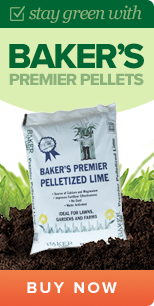 The lime reacts with the soil to lower the acidity and create a healthier pH balance. When you use limestone, you will have healthier crops and plants. For those in the agriculture industry, this helps with your bottom line. And when you use limestone at home, you can have a thriving, lush garden and a greener lawn. North Carolina is a unique state because it is made up of three very different geographic regions. The Atlantic coastal plain has areas such as the Outer Banks. This region borders the Atlantic Ocean. Moving west, the Atlantic coastal plain transitions into the Piedmont region. This area is characterized by gently rolling hills and some lower mountains. In the far western part of North Carolina is the Mountain region, which is part of the Appalachian Mountains. The state is home to many major cities, including Raleigh, Charlotte, Greensboro and Asheville. Wherever you live in North Carolina, you can agree there’s nothing quite like beautiful greenery around you when you go outdoors, whether you are a teacher whose district maintains its lawns and gardens or your own yard at home. Consistent limestone applications give plants that beautiful, vibrant look that you love. When you’re looking for limestone for sale in North Carolina, call on Baker Lime first. Baker Lime is located in York, PA. 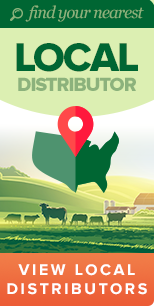 However, we conduct sales of our quality lime products all across the Mid-Atlantic region, including North Carolina. Our mining operations are local and produce limestone with high purity. We take that unrefined limestone and turn it into lime products of the highest quality for all of your limestone needs. 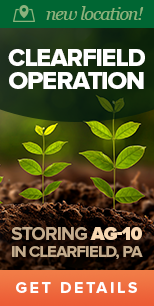 We know that our products will improve the quality of your soil and, in turn, the quality of everything that grows in it. It’s our guarantee. By balancing the pH levels in your soil, your crops and plants can absorb more nutrients. Unlike other lime products, our products contain higher amounts of calcium and magnesium, which are essential minerals for your plants’ health. Get a Quote on Our Lime! We are the best source for limestone products in the Northeast. We carry a variety of products that can be used for a wide number of purposes. We can help you find the perfect lime product for the job, whether powdered or pelletized lime, or dry or damp varieties. We will work with you to determine exactly what you need and how much of it is necessary for the job. Along with our high-quality products, we will provide you with top-notch customer service. Baker Lime has more than 125 years of business. We’ll put that experience and knowledge to work for you. To learn more about our top-quality limestone products, request a quote or place an order, please contact us today.